The open letter is an art form that not enough companies have learned to use effectively. 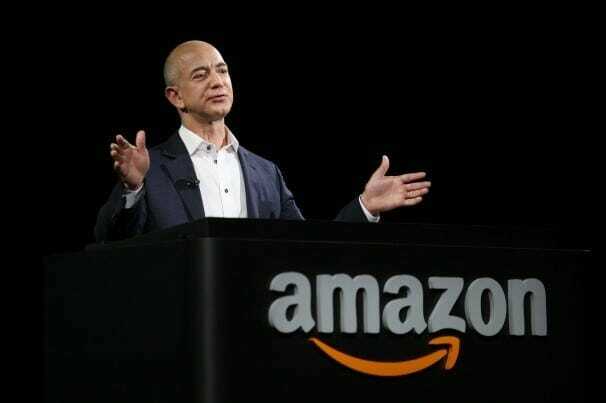 This morning after the announcement that The Washington Post would be taken over by Amazon – one of the first commentary pieces to emerge was an open letter from Jeff Bezos to Amazon employees (published on The Washington Post website, of course). This open letter model of leadership is something we have seen before – like when Amazon purchased Zappos with the intention of letting it continue to operate independently. At that time, Zappos CEO Tony Hseih published an open letter to Zappos employees all about the merger and what to expect. It was widely seen as an extension of Zappos’ legendary corporate culture and the first important step in making that merger work. Clearly the open letter can be an important way to share a philosophy or mindset with a large group of internal and external people all at once. Yet despite it’s value in major historical moments for a company – it hasn’t been consistently adopted by everyone. Mark Zuckerberg used open letters at one point in the past for everything from apologizing for unpopular Facebook changes to announcing new privacy changes … but the old corporate blog has now been replaced by the more official and controlled Facebook Newsroom. All of which points perfectly to the challenge facing organizations when they want to communicate with large groups of people about important events. The time tested corporate model is to use a combination of press releases and media interviews. You stay “on message” and tightly control what goes out. The alternative is the heartfelt open letter. The point of view shared by a leader offering a combination of vision and philosophy. The open letter appeals to emotions. The press release does not. Humanity – Great open letters have a human tone of voice. They don’t use corporate speak and actually sound like something that a leader might say in a conversation as opposed to an investor presentation. They express emotion and feelings, and share a personal point of view. Timeliness – An open letter is usually delivered in response to a piece of news or announcement. As a result, the timing of getting that letter out is often vital. Having it completed and published early ensures that conversation and media attention will incorporate the views shared in the letter. Also, having it done early is essential to demonstrate that the viewpoint is a proactive one, and not in response to some sort of crisis or criticism. Visibility – The final element is making sure the letter is published in a place where it is highly likely to be seen and shared. Bezos publishing on the homepage of Amazon or on washingtonpost.com are obvious choices … but sharing your open letter through an op-ed piece on another website, or on a highly visible corporate blog that is easily found from your company homepage can both be good choices. As more companies use the Internet and social media to communicate a corporate point of view directly to their audiences, using the open letter will become a more and more important element of corporate communications. There may be a time soon when any communicators developing a media engagement and public relations strategy for corporate announcements or product launches will need to consider an “open letter strategy” as a part of their efforts. And for companies like Amazon and their competitors, this moment may have already come.